Follow these tips for a fast cleaning routine that leaves your home spotless. The room where you prepare your meals calls for extra attention. Whether it’s the countertops or the appliances, attack each area on its own terms. Wipe countertops with a damp, textured cloth. Then spray with a food-safe disinfectant. Clean as you cook. Fill the sink with hot soapy water and slide in pots, pans and cutting boards as you finish using them. Letting them soak will make washing up much easier. Keep counters clear. Lining up all your handy appliances and cute accessories on the counter really amounts to clutter, making surfaces harder to keep clean. Start with the cabinets. Swabbing them weekly with a damp cloth is usually enough for most households. Move on to major appliances. Use a spray solvent to wipe away fingerprints and food splatters. Don’t forget about the range hood and freestanding items like a microwave or toaster oven. Clean the floors. Sweep first, then wash with a damp (not wet) mop. Be sure to get the baseboards, too. The space where your loved ones gather to make memories is also where they make the biggest mess. The key here is to go for comfortably clean, not perfect! Make each trip count. Don’t let clutter accumulate. Empty cups, old newspapers and candy wrappers have an annoying habit of piling up in the blink of an eye, so grab something that doesn’t belong every time you leave the room. Knock out knick-knacks. Go with a few large-scale decorative items that make a big impact rather than lots of smaller pieces all over the room. Not only will the space look less cluttered, but dusting will be a breeze. Clear the floor. Throw out trash, toss dolls in the toy chest and put loose coins in the change jar. * Dust with a barely damp cloth. Spray a little wood polish or cleaner onto a microfiber cloth rather than directly onto furniture―be sure to wipe in only one direction, not in a circular motion. Vacuum like you mean it. To really pick up a week’s worth of dust, go slowly. One trick is to pace yourself just a bit faster than a bride walking down the aisle. Here, cleaning equals disinfecting, so roll up your sleeves and use your products wisely. Rinse the shower. Right before you step out of the stall, take advantage of a handheld showerhead and use it to quickly rinse the walls and door, or use a squeegee. You’ll cut down on soapy residue. Freshen up. You don’t really need to watch yourself in the mirror as you swish around your mouthwash, so why not make it a habit to wipe down the bathroom counter, faucet and other surfaces while you wait? A quick minute later, you’ll have fresh, minty breath and a sparkling sink to boot! Tackle the ickiest tasks first. Get the toilet out of the way: Scrub the bowl, wipe it down inside and out, and clean the surrounding floor. Once you’re done, the rest of the room will seem like a piece of cake. Launder regularly. Toss bath rugs and floor mats into the laundry once a week. Wait it out. Mildew removers, spot cleaners and disinfectants take a while to do their thing. So be patient: Spray, move on to another task and come back to scrub. Otherwise, you’re wasting time, money and effort since you have to use more product to get results. Make it shine. Clean mirrors with old newspapers instead of paper towels to cut down on unnecessary waste. Clean similar surfaces together, working with one set of products until you’re done. This sanctuary is all about comfort and rest. 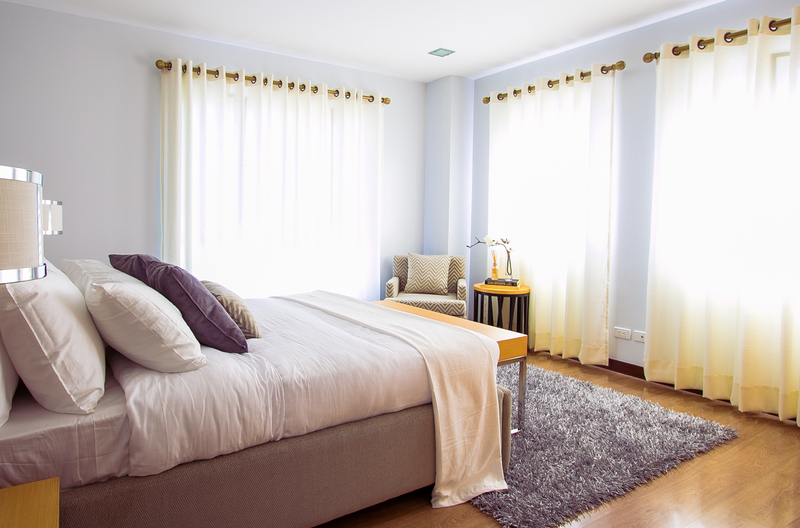 Keeping it neat creates a peacefulness that is conducive to sleep. The bed is the star of your room, so be sure to make it every morning. Have linens handy. 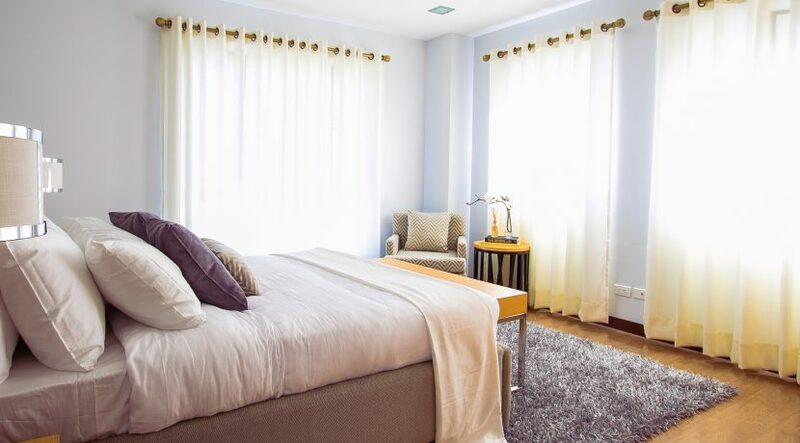 If possible, store each bedroom’s sheets and pillowcases in that room, whether they’re in a dresser drawer, on a closet shelf or even in a stowaway caddy under the bed. Then the weekly changing won’t require multiple trips to the linen closet. Plant a coat tree. The best insurance against clothes all over the floor? Provide a convenient place to hang clothes at the end of the day. Also, keep a hamper in each bedroom to collect dirty items. Make sure there’s enough room in drawers to put things away. Cut clutter. Address accumulated stuff by starting at one point (the bureau, for instance) and working your way around the room clockwise. Dust the furniture with a damp cloth as you proceed, and don’t forget to wipe down windowsills and the tops of mirrors. Back up. Vacuum backward as you walk slowly out of the room. That way, you’re not tracking anything on the clean areas. All rights reserved to the initial publisher for All you.